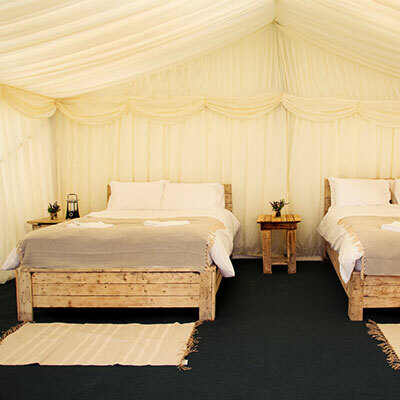 The ultimate in luxury camping! Taking glamping to another level. 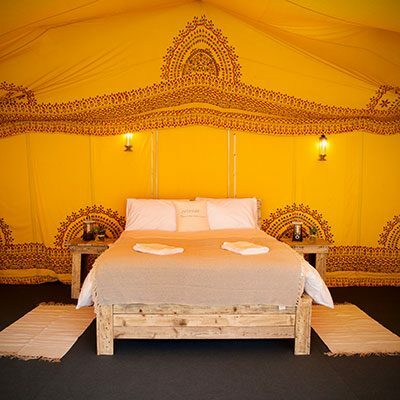 This super luxury safari tent, takes glamping to another level. 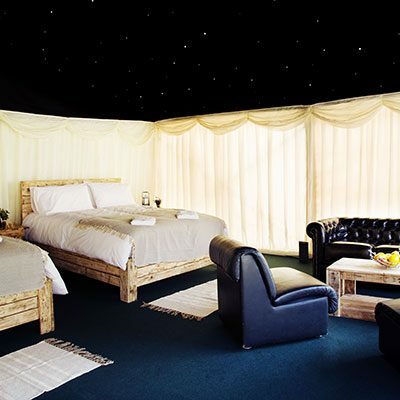 It comes complete with a king size bed with luxury Egyptian cotton sheets, duvets, pillows, towels, throws, sofa, coffee table with fresh fruit and flowers. They benefit from solid doors and floors with padded carpet, rugs, soft ivory pleated linings as well as mood lighting on a dimmer switch and internal power suitable for your phone. 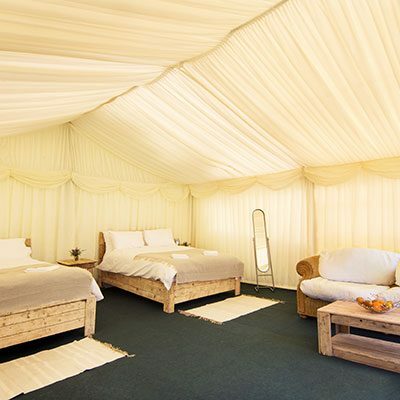 When you stay in one of our beautiful safari tents you have access to our hot showers, pamper room including hairdryers and straighteners, sparkling loos and showers, phone charging, private bar and restaurant, hot tubs, cool tubs. We have a buggy service for the very short trip to the festival, as well as more extra lovely surprises. 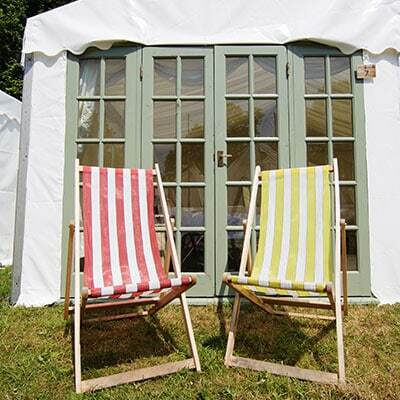 Our fenced site has 24 hour security and each tent benefits for a private car parking space in our field next to the site. Additional parking is available at £50 per car – please see the other products in our shop to add parking.